Networking events are an ideal platform to promote your business. Perhaps you want to boost the profile of your brand, launch a new product or showcase a unique experience. Do this by making 2018 the year you host a Business After 5 with the assistance of the Chamber team. Our marketing experts will create personalised event collateral and promote your BA5 through our print and social media channels. While the Events team will look after registration, run sheets and ensure it all runs smoothly on the night. 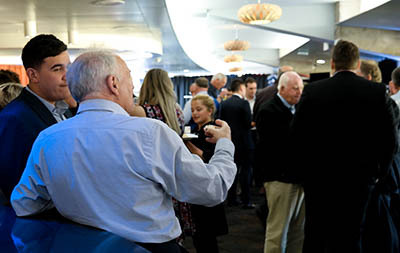 The BA5 enjoys a relaxed atmosphere with plenty of opportunities to network. Our monthly BA5 continues to be popular amongst our membership. Take advantage of this Member only benefit and secure your slot for 2018. Please get in touch with Nicola Johnson for further information or to book your event. © Copyright 2010 Wellington Employers´ Chamber of Commerce Inc.